it shows a jupiter 8, jx and juno-106. they seem to have 25 keys altho i imagine something like a juno or jupiter could have more than 1 model. seems similar to the reface, no? They're doing some sort of 106 reissue?!?! SIGN ME THE **** UP! ETA: I do still want the DX7 reissue also. But I has a broke. 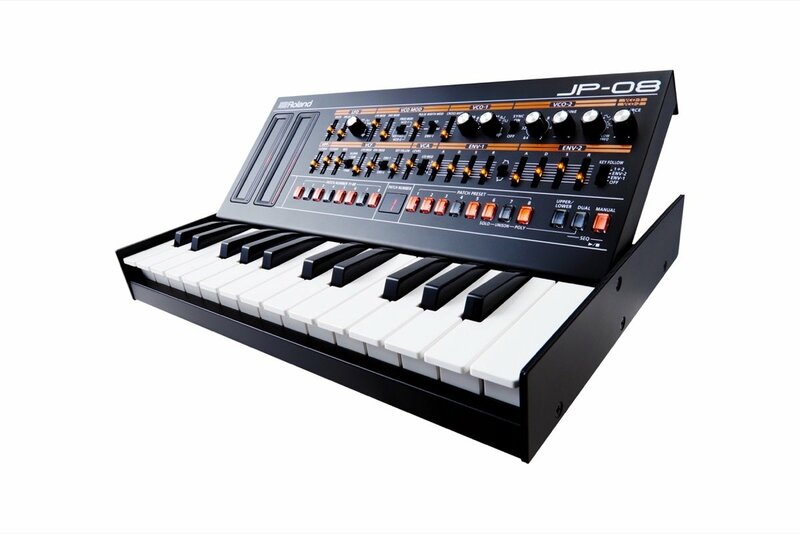 A Jupiter 8 with minikeys? As for me, I haz a curious. Are they mini keys? They look like potential full-sized ones. Hard to tell. I am pretty sure they're minikeys, which usually are quite a bit shorter than normal keys. We'll find out soon. christianrock wrote: I am pretty sure they're minikeys, which usually are quite a bit shorter than normal keys. We'll find out soon. Still. If the hardware is comparable to an actual 106, I'll still buy, and just control with a controller with good keys. I have several boards that would work fine. That's my guess, too. double-row of controlls for the Jupe, very few controls for the JX, and that leaves the Juno. So you get nice minikeys with VA hard ware me thinks? I wonder if Roland is going to push these out, make some coin and then release them as plug out VSTs. Nah I don't know.. seems likely though. Ride this out, then flip it back to the plug out, since they have that format going now. I was seriously wondering why we hadn't heard of a JP8, 106 etc plug out yet. You'd think they'd want to go for the name brand stuff and not the second teir stuff first. AMIRITE? If it's just a VA, I would have a disappoint, after the nice new surprises Roland has given us. When do we get the answers to these mysteries???QUESTIONMARK?? I wouldn't count on oscillators, especially in the JP8 unless it's like 2 voice or something. Although they could do a JDXi thing and some of it be analog and some not. Maybe they're just dedicated controllers for VSTs based on these synths? I'd be willing to bet it's plug-out more than analog personally. But Roland could surprise me. Still not sure what I'm looking at. Edit: gearslutz says each one will have 4 voices from System 1. Not sure if want. So that means this is VA and not analog? I just don't see the point in this release.